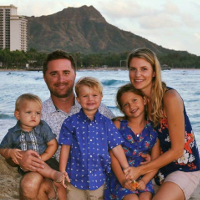 Zack Diener is a 14 year veteran of the mortgage business with extensive knowledge in the Hawaii real estate market. He has been recognized as “The Cream of the Crop” in Honolulu Magazine’s ‘Best in Real Estate: Mortgage Professionals’ for 2013 and 2014. Zack has written numerous real estate and mortgage-related articles that have been featured in the Honolulu Star-Advertiser. Zack joined Element Mortgage as Branch Manager in February 2018. He is responsible for Element’s strategic partnership with Hawaii Life Real Estate Brokers, one of the top real estate companies in Hawaii. An industry veteran, Zack previously held positions at, NetLending, Paramount Equity Mortgage, Mann Mortgage, LLC, Bank of America Home Loans and Countrywide Home Loans which enabled him to build a loyal following of clients and business partners.